From onboarding to post-launch, Nabr Network’s team is here to support you. Dedicated Client Service Specialist for your company. Manager access to our thorough Knowledge Base. Client dedication is one of our core beliefs. We understand it can be frustrating when software providers don’t offer great technical support. That’s why client dedication is one of our core beliefs. From onboarding to post-launch, Nabr Network’s team is here to support you. 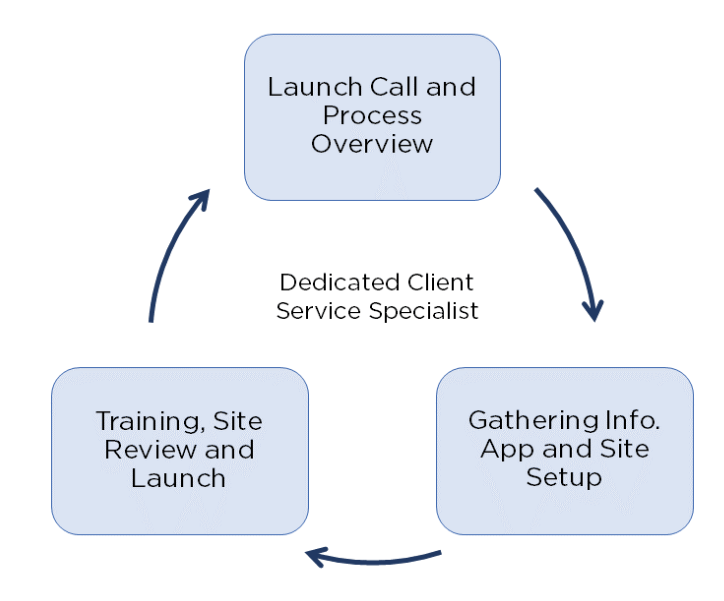 To start, your dedicated Client Service Specialist will guide you through our easy, three-step onboarding process. This includes gathering of information, set up of site and uploading of all content, and site training and review. Following launch, your Client Service Specialist is available for manager support, ongoing training and new site set ups. Post-launch support can be just a quick email or phone call to ask a question or more formalized training web-conference. Managers will also have access to extensive Knowledge Base help articles and Nabr News newsletter. We are always available to help, improve and support your practices. Working with Nabr Network has been very easy. The on-boarding process is simple thanks to their dedicated team.